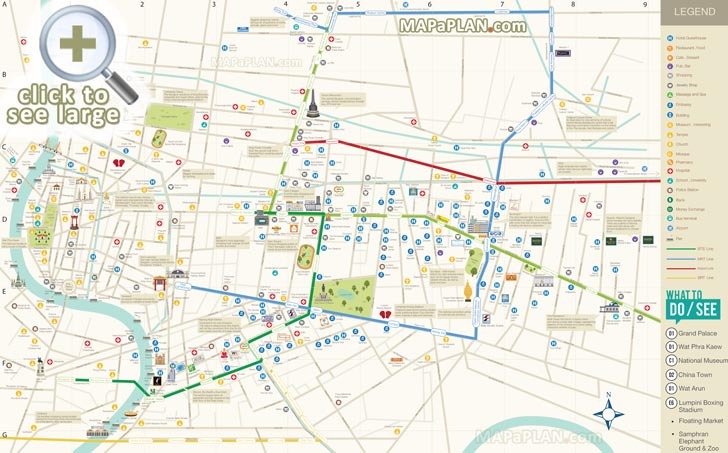 Bangkok maps will guide you to the best destinations in this fascinating city. Besieged by visitors from all over the world the capital of Thailand never sleeps. Tourists can enjoy wonderful markets and shops, local food, pubs, massage parlors and a stunning complex of temples and royal palaces. The city is full of contrasts - the ancient Buddhist temples are loated next to large modern shopping centres, dilapidated shacks surround glass skyscrapers, street food stands set up next to entrances of luxurious restaurants. Bangkok is a blend of past, present and future, a city full of mysteries and entertainment for the most demanding. It is also a kind of vacuum chamber where a newcomer from the West can taste Asia and all its exotic, yet at any time if in need of a break scape to McDonald's or an air-conditioned hotel. 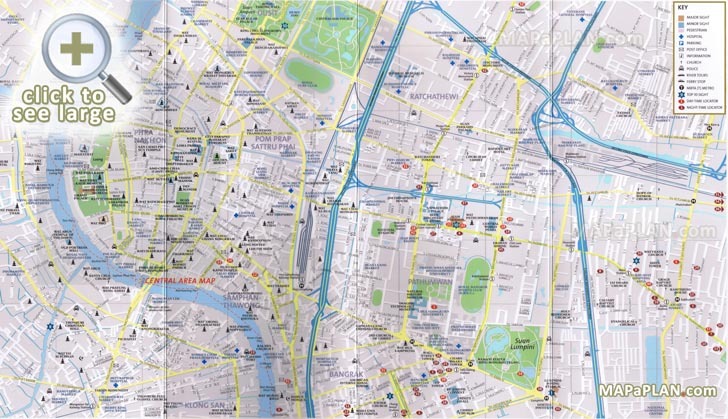 With the help of our maps you will be able to make to most of your trip. 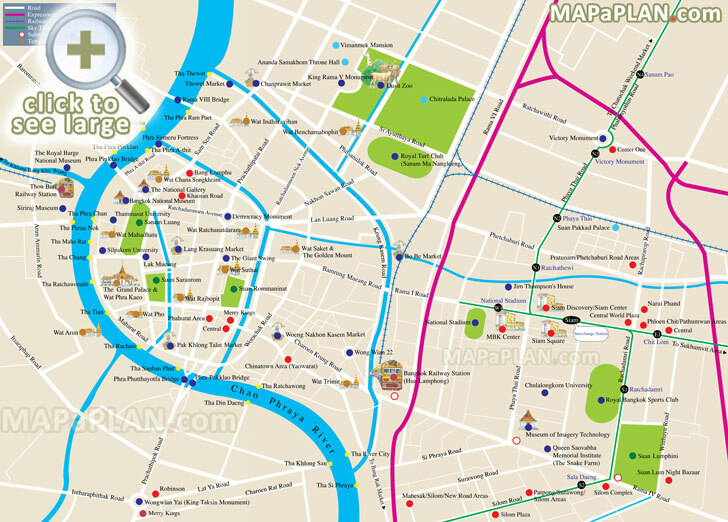 You can find the detailed locations of the must-see sights including Wat Arun, Grand Palace, Wat Phra Kaew, Chatuchak & Floating Markets, Chinatown (Yaowarat), Wat Pho, Chao Phraya River & Waterways, Soi Cowboy Red Lights District (Sukhumvit - Asoke), Jim Thompson’s House - just click on a selected map to access a high resolution version that can be downloaded and printed or saved onto your mobile device. 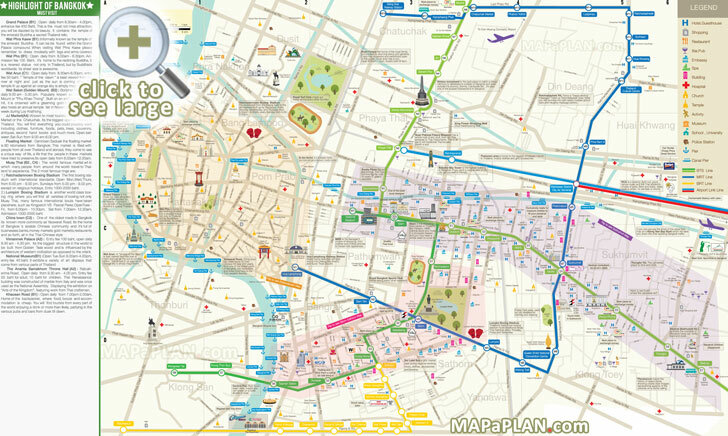 What are some interesting facts about Bangkok? It's HOT! 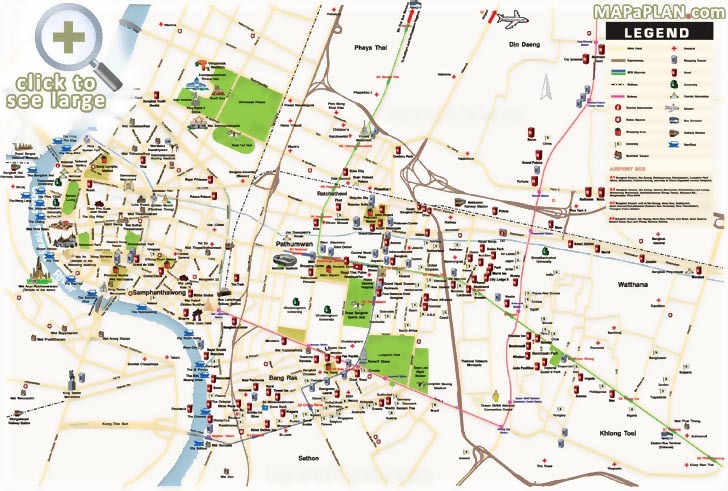 - Several years ago, Bangkok was named the hottest city in the world by the World Meteorological Organization. It may not be the hottest city in the world every single day but you can be sure it’s pretty consistent. Touring the Grand Palace (a large complex of palaces and temples) at 10 in the morning is almost unbearable due to the scorching heat. When exploring the city, be sure to keep hydrated and bring an umbrella. Underwear is a must - We all know underwear is pretty essential, but not as much as in Thailand and Bangkok, where leaving the house with no underwear on can very well land you in jail. Going bare-chested in public is illegal too. Bangkok is home to the world's largest airport control tower - It is located at Suvarnabhumi Airport and is 132.2 meters tall. Monkey Buffet - One of the country’s most unusual festivals is the annual Monkey Buffet, held in front of the Pra Prang Sam Yot temple in Lopburi province. More than 600 monkeys are invited to feast on over two tonnes of grilled sausage, fresh fruit, ice cream and other treats. The locals see it as a thank you to the monkeys which inhabit the village and bring thousands of tourists there each year. Bangkok has an elephant building! - There is a building that is made up of three towers intended to look like an elephant which is Thailand's national animal. This unique landmark is located in the Chatuchak district. The city is sinking - Due to heavy (literally) development, Bangkok is sinking at a rate of 2-5 cm per year. This combined with rising sea levels may make the city a bit more Venice-like in the not-so-distant future. Bangkok was once the 'Venice of the East' - There was once an abundant system of canals in the Bangkok area and many of the original buildings stood on stilts. 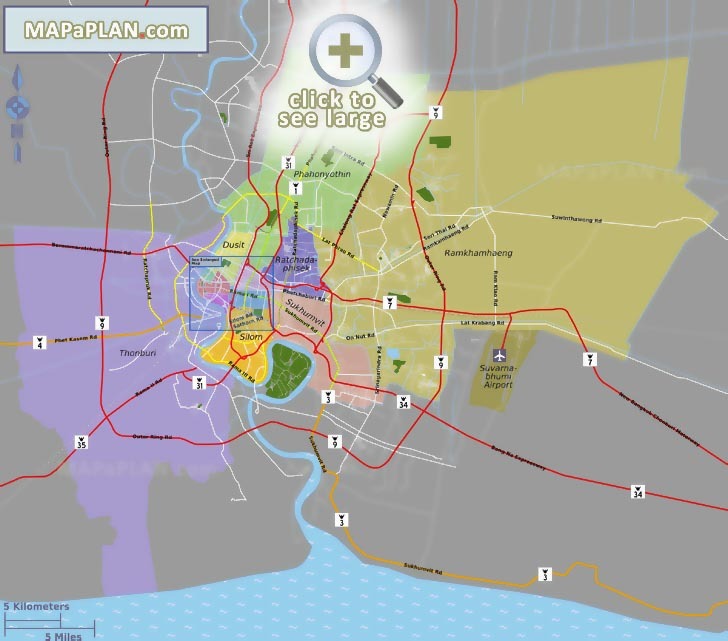 As Bangkok grew larger, however, most of the canals were filled and paved. 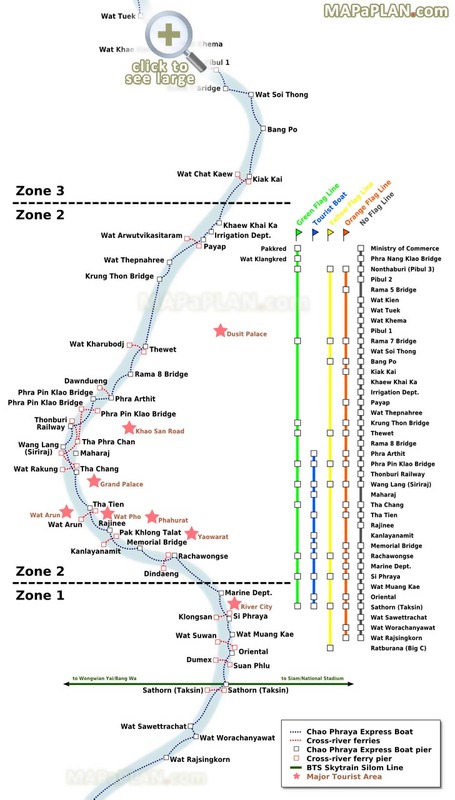 Floating markets - The Bangkok area is home to several very popular floating markets including Damnoen Saduak Floating Market, Taling Chan Market, Bang Ku Wiang Market, and Amphawa Floating Market. Visitors can find boats selling fresh tropical produce, coconut juice, and delicious local food cooked right on the small boats! 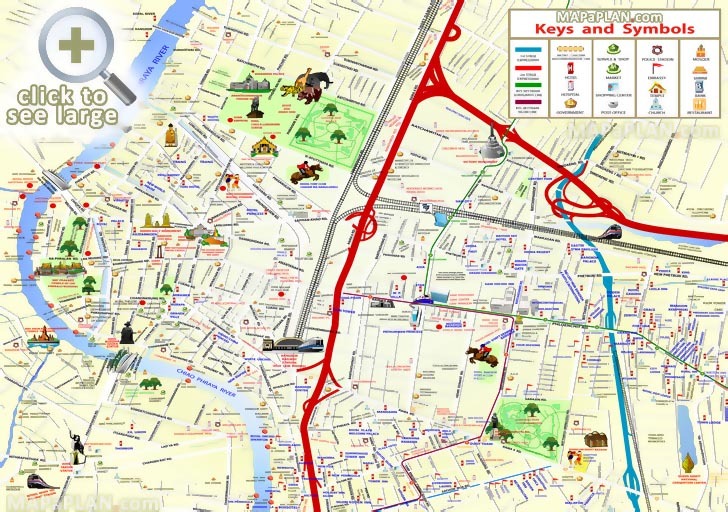 Bangkok's busiest tourist area is Khao San Road - Khao San Road is located in the district of Rattanakosin about a block from the Chao Phraya River. This backpackers' haven is known for cheap accommodations, a plethora of shops, and a chill bar scene great for people watching. Khao San Road also has some of the most diverse and budget friendly food options in Bangkok. Bangkok was home to the legendary American art collector Jim Thompson - Jim Thompson dedicated much of his life to revitalizing Thai silk and introducing it to some of the world's most renowned fashion empires. According to Time magazine "he almost singlehanded(ly) saved Thailand's vital silk industry from extinction." The American businessman mysteriously disappeared into Malaysian jungle in 1967. Sources say that he went for a walk one day, never to return, and his disappearance still remains a great mystery. His elegant and artistic former house in Bangkok remains one of the city's popular tourist attractions. 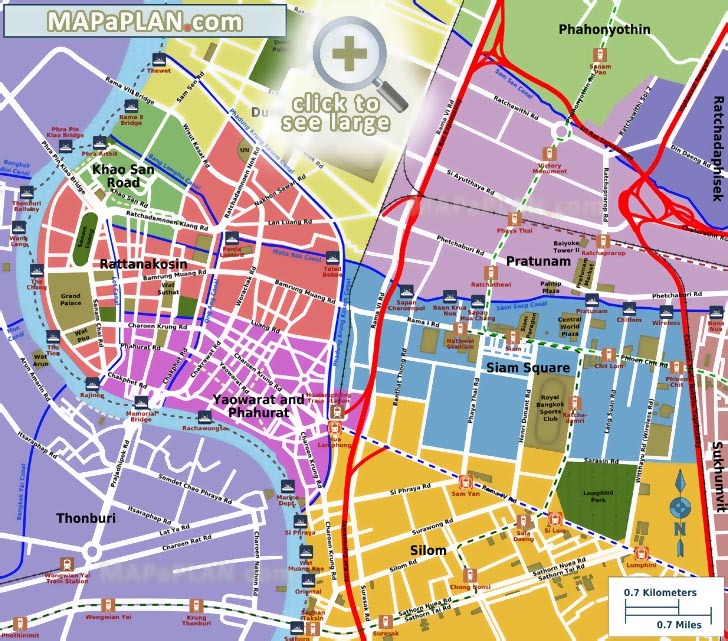 Soi dogs - The word soi means side street and most major roads will have numbered sois along its length. You will also notice an abundance of stray dogs which many refer to as "soi dogs." Water bottles - Many Thai believe that leaving bottles of water along the front of a building will discourage soi dogs from urinating there. You can see shopfronts at the end of the day with a row of plastic water bottles on the sidewalk. Erawan Shrine - The popular Erawan Shrine downtown was built to appease angered spirits that were causing delays and accidents during the construction of what is now the Grand Hyatt Erawan Hotel. Street water fight - Every April Bangkok hosts the world's largest street water fight during the Thai New Year holiday known as the Songkran Festival. Golden Buddha - The 5.5-ton Golden Buddha at Wat Traimit in Bangkok is the not only the largest solid gold Buddha in the world, but also the most valuable (moneywise) religious object. Thais love their king - No doubt. The nation’s adoration for him is particularly apparent in Bangkok where pictures and posters of the royal power can be found in almost every other street. Take note that it’s also illegal to say anything bad about the king or to even laugh at a picture of him. In the cinemas, a short tribute clip to the king is played before a movie starts and everyone is expected to stand up and pay respect. 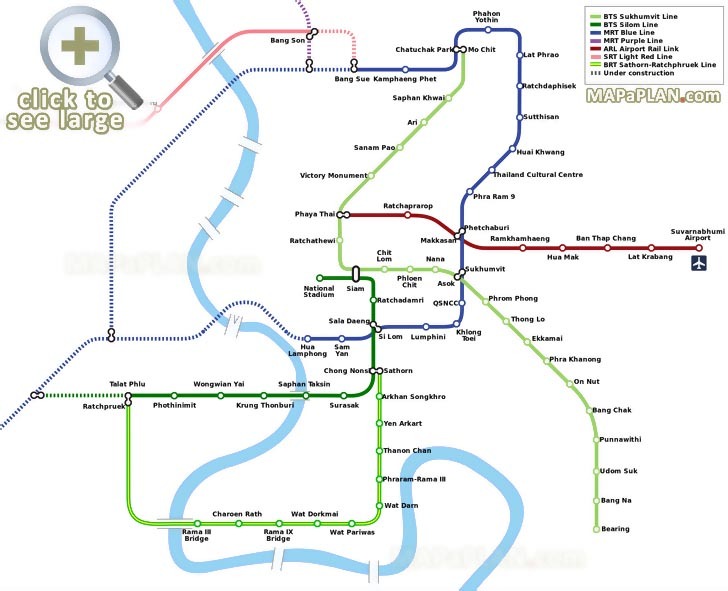 Land of smiles - Bangkok lives up to Thailand’s nickname as the “Land of Smiles”. As peace-loving people with ready smiles, Thais exude pleasant auras and generally seek harmony over social conflict. A lot of tourists like going back to Bangkok simply because of the charm and warmth of its people. While it has its share of crimes, Bangkok remains to be one of the friendliest cities in the world.